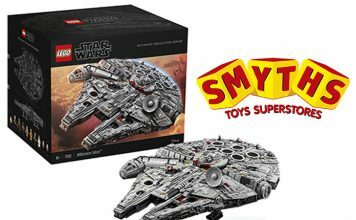 Brickset.com interview LEGO Star Wars Betrayal at Cloud City (set #75222) designer Hans Burkhard Schlömer. 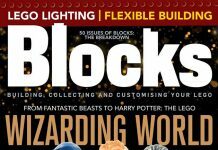 Issue 50 of Blocks magazine is packed full of LEGO builds and reviews, and returns to the Wizarding World of LEGO Harry Potter. 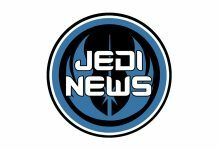 Learn about the brand new Downloadable Level Pack - 'The First Order Siege of Takodana' available now for LEGO Star Wars: The Force Awakens. 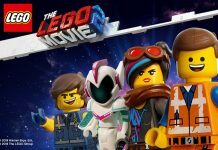 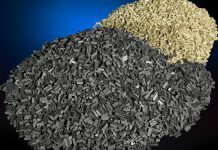 A new LEGO set is coming with 27% more pieces than the Taj Mahal - the previous largest commercially available LEGO set. 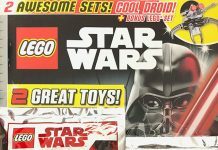 Take a look behind the first day of the LEGO Star Wars Advent Calendar for 2017. It's day thirteen of the LEGO Star Wars Advent Calendar for 2017. 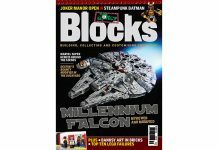 Blocks magazine issue 40 goes into Hyperspace with the Ultimate Collector Series Millennium Falcon, the largest LEGO set ever released. 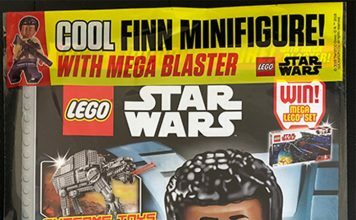 LEGO Star Wars Magazine #35 from Egmont is out, and comes with a Dwarf Spider Droid from Attack of the Clones and Rey's Speeder from The Force Awakens. 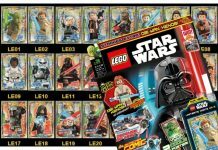 New LEGO Star Wars Trading Cards coming to the UK at the end of August. 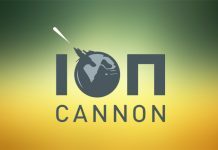 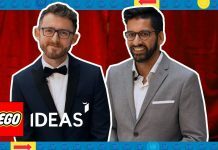 Over the past several months, the LEGO Review Board has taken lots of time to review the 10 creative product ideas that reached 10,000 supporters between January and May 2018. 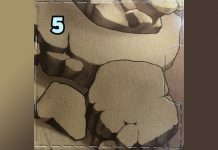 Take a look behind day five of the LEGO Star Wars Advent Calendar for 2018. 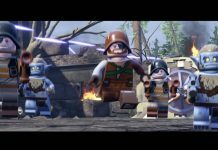 LEGO Dimensions Expansion Packs Based on The Goonies, Harry Potter, and LEGO City Announced for May Release.